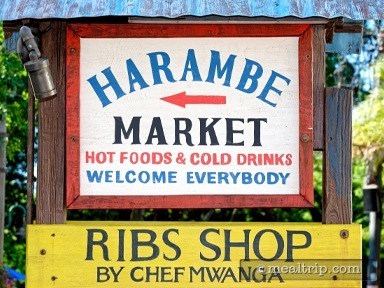 The Harambe Market is Animal Kingdom’s version of a “food court”. 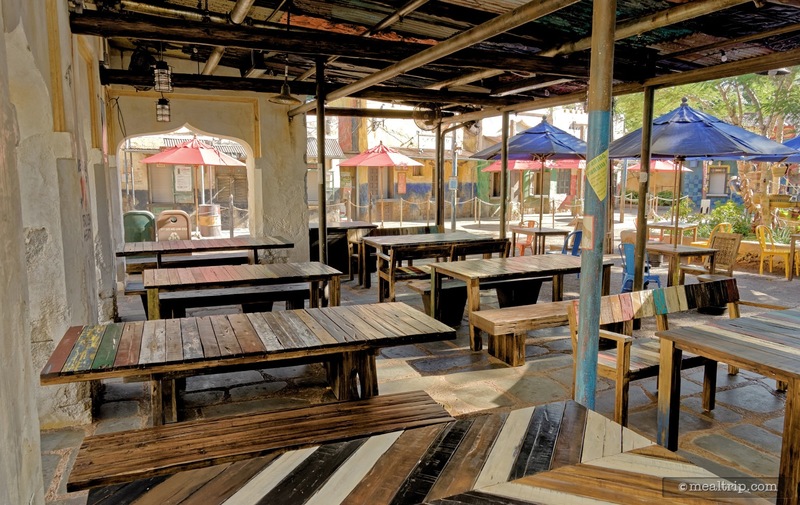 The all-outdoor market has been designed to appear like a small seaside village... complete with a half-covered seating area and four different “shops” which are walk-up order and food pickup windows. (Just between us, I’m not sure how “seaside” works into all of this, since no seafood dishes are available anywhere in the market.) A faux water tower and what would be a train depot adorn the north west end part of the area. While the Harambe Village Train does in fact pass by here, there is never any intention for it to stop at the depot, which is just for show. 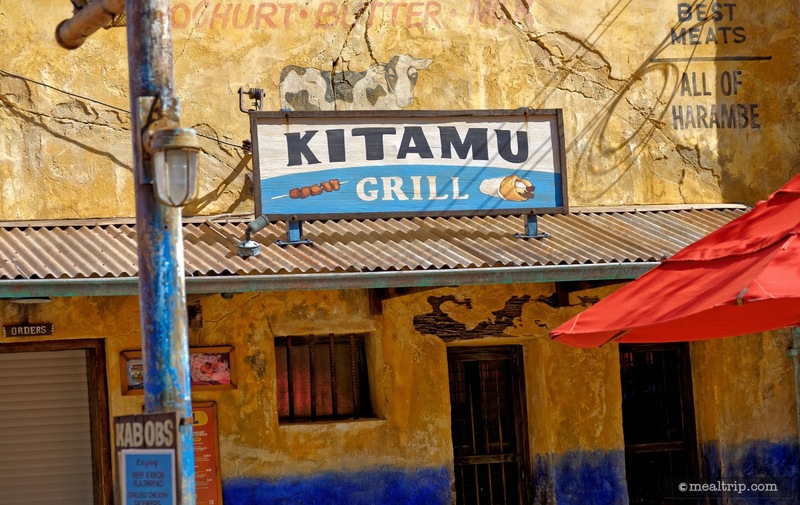 Four ordering windows (or shops) make up the Harambe Market... the Kitamu Grill (which offers grilled food on skewers), Famous Sausages (a curried corn dog), Chef Mwanga’s (spice rubbed Karubi ribs), and Wanjohi Refreshments (which only offers drinks). This multi-window food selection, payment, and pickup system introduces a problem which is not unique to this particular food court... and that is the simple fact that if everyone in your party wants something different, everyone is going to have to split up and get into different lines, with their own money or payment system, and hopefully all meet up together in the common area (which almost never happens at the the same time). While each of the windows offers different main dishes... all windows seem to have soda, water and basic beverages, along with “adult” beverages such as beer and wine, (although not every wine and beer variety is available at every window). 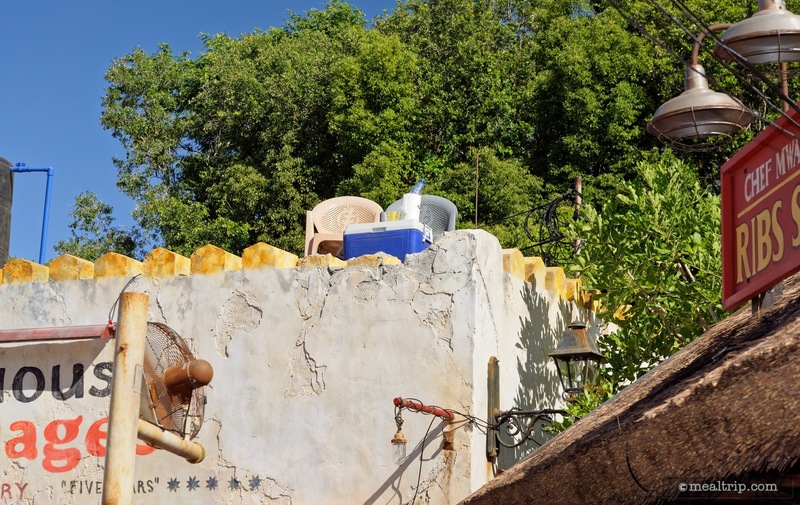 Also available at every window is “the” dessert at Harambe Market, which is the African Milk Tart. A coconut custard filled pastry shell topped with a bit of sugar, spices, drizzled with a dark chocolate ganache. Animal Kingdom's Harambe Market is located in the back of the park... in the "Africa" section, somewhat close to the Wildlife Express Train entrance (for those of you that are familiar with the park). 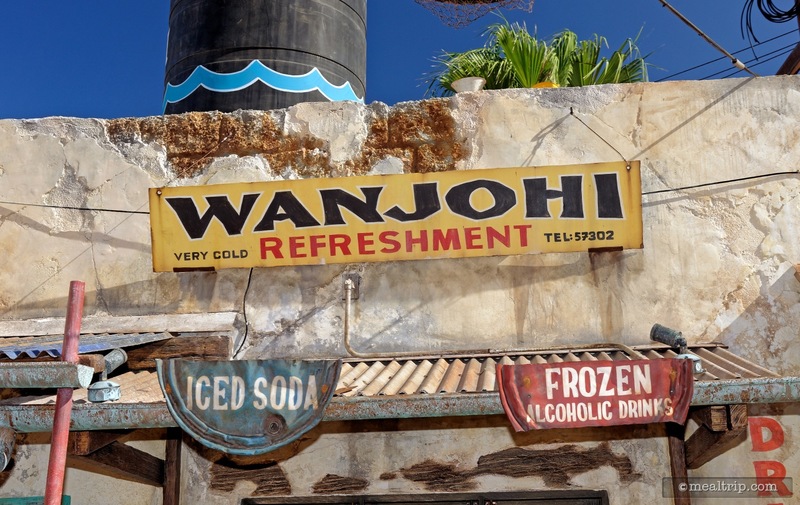 Disney's marketing for the location would suggest that it's a Quick Service food court type of offering that features African Cuisine. 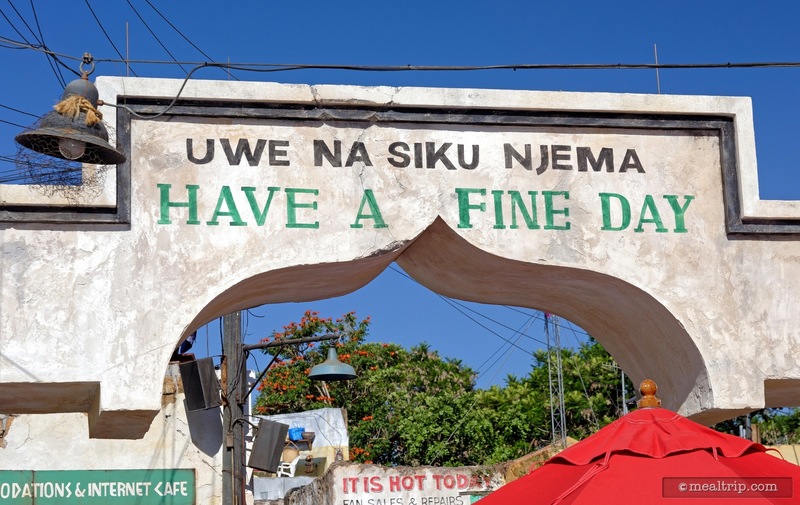 I'm not sure the Harambe Market will get it's highest marks when used that way though... and here's where the two sides of the Harambe come into play. The design of the space is detailed and immersive. I don't know how difficult "African Streetscape Clutter" is to pull off, but they have done an amazing job, and you really can get the feeling of being in a small African town gathering area. Well... with the exception of all the luxury baby strollers and electronic scooters that the guests have… so it looks more like a gaggle of wealthy tourists have been dumped into the middle of a small African town… but still, it's pretty cool. Custom posters, signs, painted wall art, bikes, baskets, oil can chairs, and even the light fixtures have all been hand-picked for the area. Everywhere you look, there's some detail or nuance that's been carefully selected and it all comes together in a very cohesive, believable way. 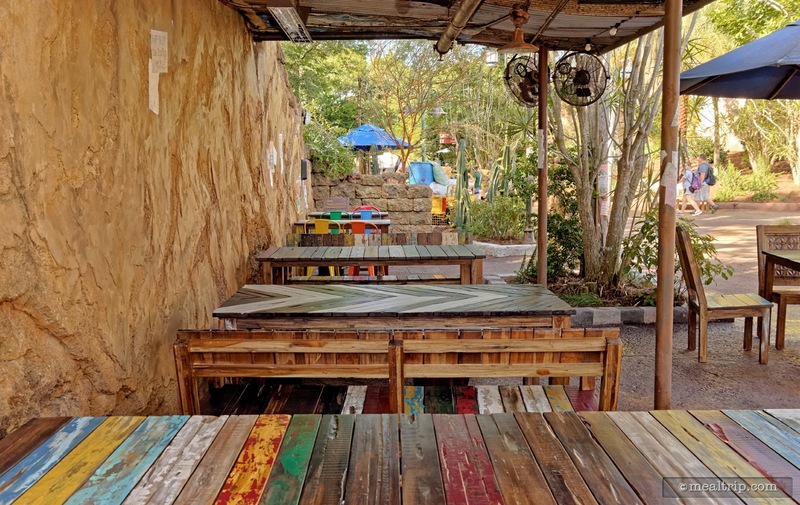 The area looks as good by day, as it does at dusk and beyond, as some of those custom African looking street lights (and other area lights that you're not supposed to see) come on and provide the location with another very distinctive feel and experience. This is where it's difficult to rate the location, because there's two different ways to "use" the place. Frankly (and in practical, "reality" terms), maybe the middle of an African Streetscape isn't the best place to eat lunch. 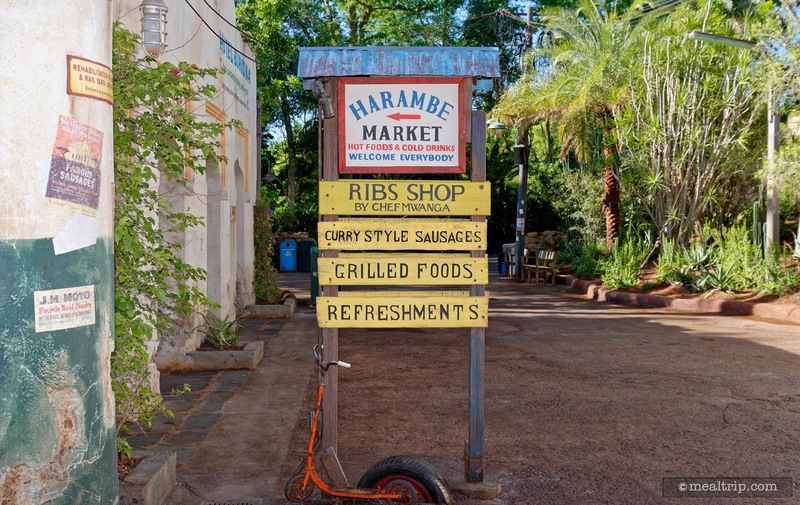 I have visited the Harambe Market a few times now, and I've found that if I think of the market more as a "quick snack" location, I have a better experience. 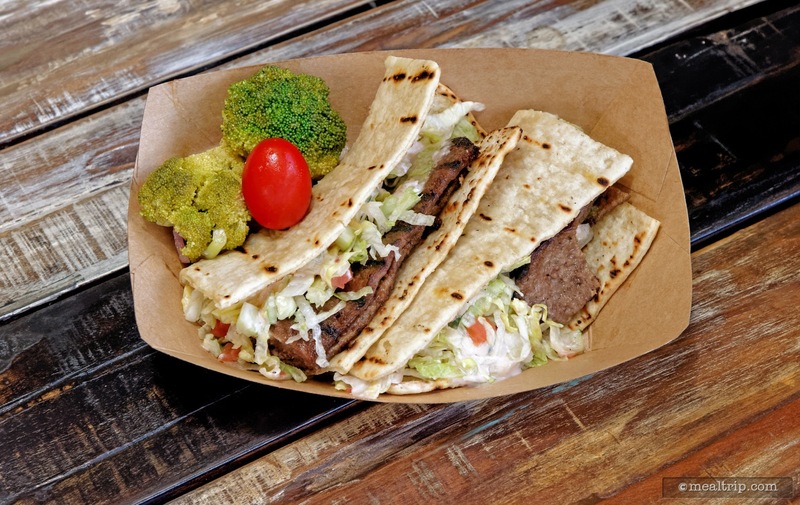 Let's say you just want to try a new, African sounding craft beer and pick up a food item or two for your group to share while resting and soaking in the atmosphere… then it's all good. When used as a quick snack location, the area gets decent marks from me. 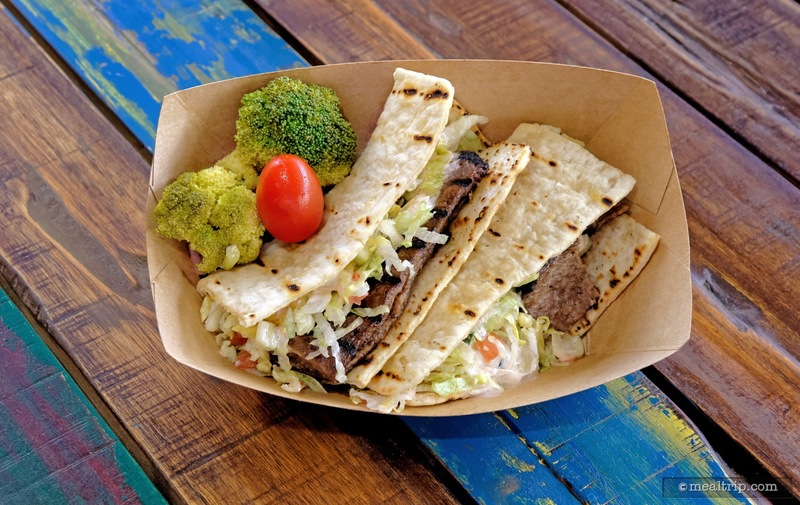 The prices are a little too high for me to suggest that it's a mini-food festival, but they are in-line with other small-plate type offerings in the Disney park system (aka be prepared to part with $20 for an adult beverage and one food item). The food is not crazy diverse like you might actually find in the middle of Africa, but the African-spiced American-style dishes go great with a beer or cocktail, and many of the items will appeal to a broad range of guests. However, as a "Quick Service" lunch location for (let's just say) a two-parent, multiple children family… well… it starts to loose a little of it's usefulness. For starters, the area really was designed to feel like a bustling street scene, and as such, you don't really get that "this is my space for the next 45 minutes while we eat" feel, and for parents that "break" from the bustle, is sometimes the best part about eating in-park. 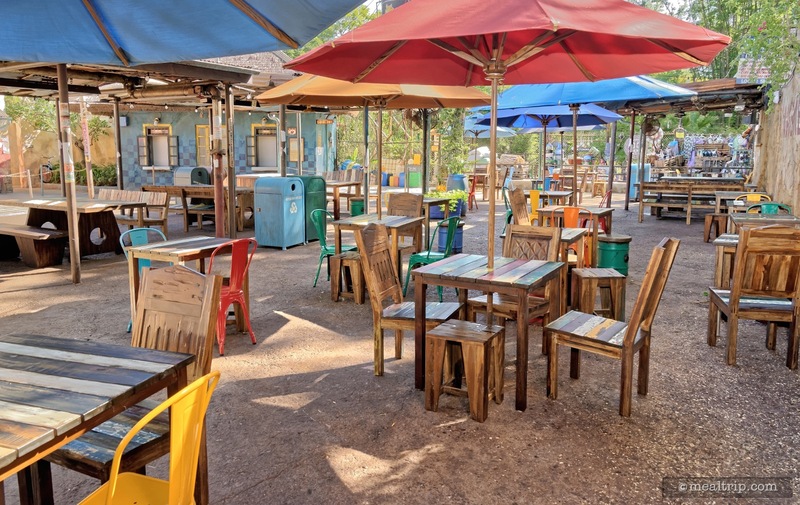 The seating is all outdoors (and you have to adjust what your definition of "clean" is when looking for a suitable table), which by itself isn't a huge issue... but for those looking for a break from the heat, you're out of luck at Harambe Market. When you're lugging around a giant "mommy's got everything in this thing" bag and pushing a stroller all day… let's face it, you're looking for some air conditioning and don't want to spend any time thinking about why the table you just snagged is already wet… and wet with what exactly. A bigger issue for families using the location for lunch or dinner, is the food-court concept itself. 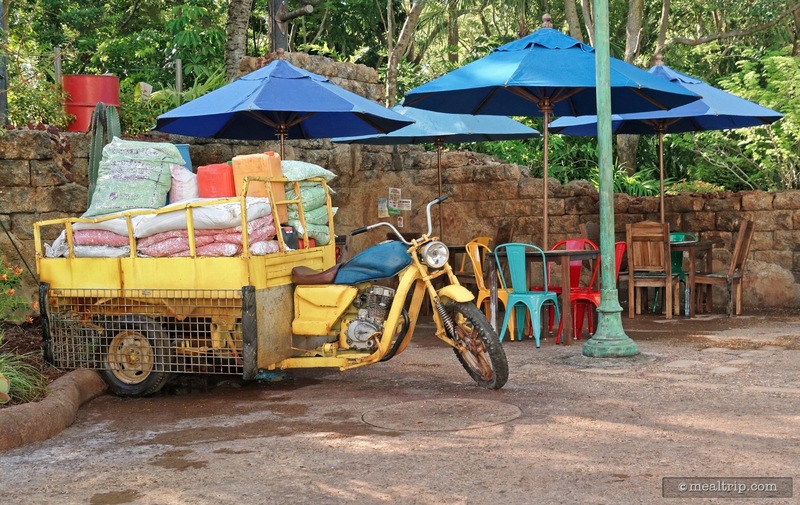 Harambe Market seems to combine the slowest parts of Disney "quick service" where you're waiting in line for 10 minutes with a receipt in-hand, with perhaps the most time consuming practice in Disney dining…. the dreaded "our family wants things from each window". If you want a sausage, that's one window… if you want two plates of ribs, that's another window… and then you need to get one vegetarian entree, that's another window. You can only get one thing, at each window… there's no ordering the ribs, from the sausage window. The only food item that seems to be consistently available at all windows, is the dessert item. 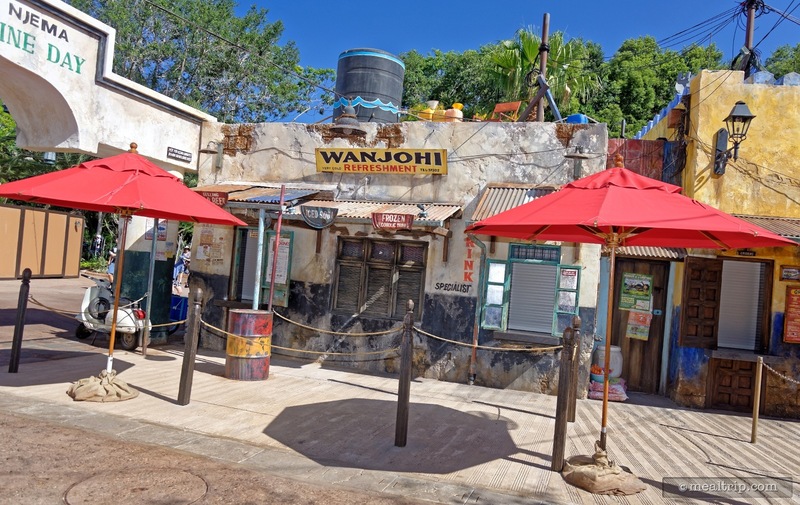 Unlike some of the food-court systems at Disney Resorts where you can stand in each line, and pay after you have collected everything that everyone wants… at Harambe Market, there's a payment register at each and every window. Using our example family of four, presumably mom would need to stay at the table with the kiddos… poor dad will have to spend (at peak times) anywhere between 10 and 15 minutes at each window to collect a complete lunch. The 30 to 45 minute food gathering activity ensures that you probably won't eat together and/or, only one person will get to enjoy a warm meal. In my mind, that's not "quick service" or all that convenient really. 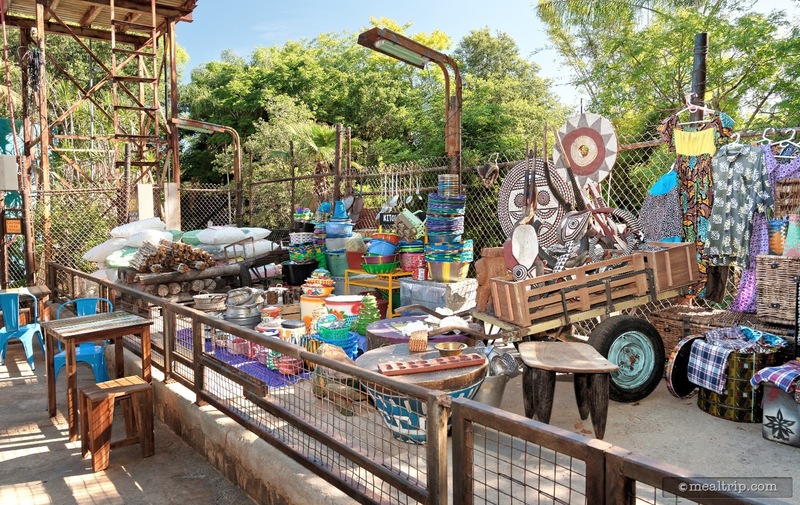 For some reason, it feels like everything at Harambe Market costs about $1 more than it should, even for a theme park. I don't know why it feels that way. Perhaps it's the tiny two-tablespoon sized "side" dish, that looks more like a garnish than a side item. Perhaps it's the rather "one-note" take on the main dish that makes these "entrees" seem more like slightly larger Food & Wine Festival sample. Prices being about equal, my gut feeling is that you get more and higher quality food at a location like Epcot's Sunshine Seasons (in The Land attraction) than you do at the Harambe Market. From a culinary perspective, the food is good. While not being incredibly authentic, one or two spices found in African cuisine do make their way into each entree. Here again, this makes the food seem like a great snack to go with a beer or a cocktail, and it should appeal to a large number of guests. 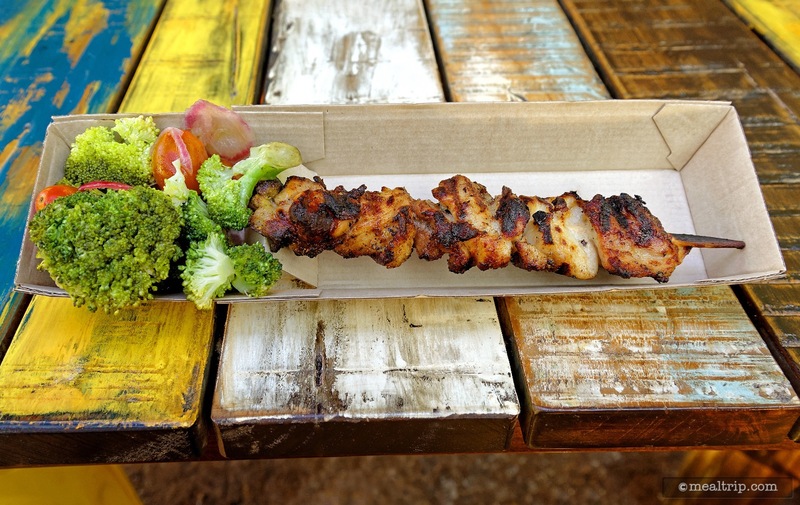 With some of the proteins being so exposed, (in the case of the grilled chicken skewer for example), I do wish the quality of the meat itself were a bit better. With maybe five chicken "nugget" sized pieces of meat on the same stick, a few were fatty, a few were dry and cooked too long, and one was just perfect enough to make you want to wish they were all that good. All of the entree's are accompanied by the same side item, which changes a bit seasonally. A pickled Roasted Broccoli and Tomato Salad was the side when I ate there for this review. It looks like they've now switched over to a Papaya Slaw with Black-Eyed Pea salad for the spring. Either way, the side was a good juicy (and served chilled) alternative to the warm and slightly spicy main dish. 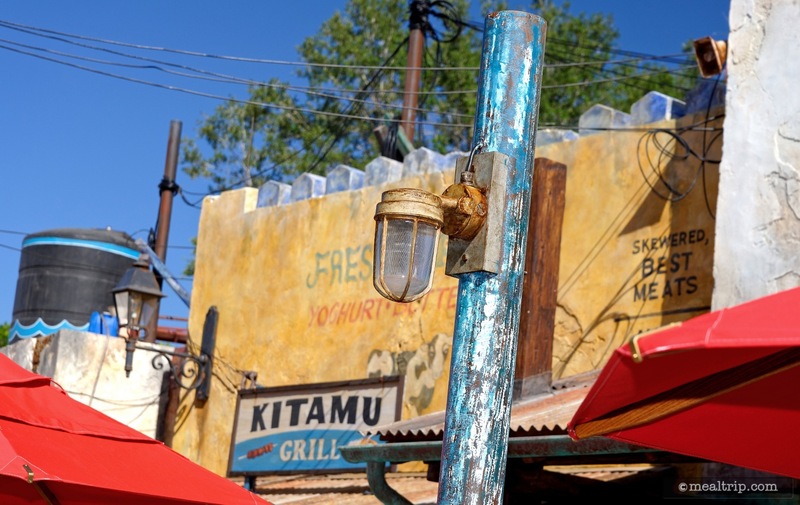 A single dessert is offered at all of the Harambe Market windows. For the time being, it's an "African Milk Tart" featuring Coconut Custard and a Chocolate Ganache (aka, chocolate drizzle)… all items that you would be hard pressed to find in an actual African street market. But, if you like coconut, it's a good dessert. All in all, an amazing looking new space that's so much fun to visit, before the market actually opens! There's a ton of great photo opportunities that with the right camera phone photo filter, will make it look just like you've taken a trip to Africa! Once the market opens, it gets busy, (and hot, if it's a typical Florida day). Stopping in for a beer and a quick snack can be a lot of fun, if you don't have to refocus and settle, but for an honest to goodness lunch, I would still recommend counter service locations like Restaurantosaurus or (gasp) even Pizzafari… both will give you a better chance to relax, in air conditioning, and offer one-register payment systems so that you can purchase and pick up all of your food at once. CLICK HERE to view all 28 images in our photo gallery.